How Will Technology Influence Online Horse Betting? You might think that horse racing is one of those industries that is safe from disruption and the world of tech. However, you could not be more wrong. From the way you to bet to the horse you choose, tech is involved. So, in this article, I want to cover 4 of the key ways in which the world of tech is set to influence horse betting online. Perhaps the weirdest tech offering in horse racing, and therefore the most obvious place to state, is that some sites now offer virtual horse racing amongst their selection of online casino games. This is essentially a simulated horse race, complete with 3D animated graphics that you can watch. You place your bet, just as you would at the track, watch the race, cheer on your choice and hopefully collect your winnings! The advantages of this are clear – you can do it any time, anywhere (provided you have a decent in internet connection), so you are no longer tied by the schedule of the races. Also, lots of casinos will allow much smaller bets on a virtual race than a real one, so it can be a really stake race if you like. If the virtual horses left you feeling a little hollow, like you were too far from any real action, then perhaps virtual reality is the way to go. A few bookies have tried to bring the action in all its full three dimensional glory to their online horse betting by including a live, virtual reality stream from the race. More than a gimmick, the idea here is that by having a more intimate and immersive experience of the race, and more crucially the paddock prior to placing your bet, you could actually have a much better idea of exactly what condition horse and jockey are in than you would have just watched the normal video stream. A quality virtual reality experience would help you choose your horse as if you were actually there at the races. Of course, as is always the way with virtual reality, the development of this kind of thing is hampered by the low level of adoption of virtual reality tech. As such, it can be tricky to find a race that is being streamed in VR. No surprises here, but when it comes to any kind of gambling, data can be really important. Horse racing is no exception. Obviously, bookmakers have been using every statistical tool available to offer the most competitive, and most profitable odds, but what is perhaps more interesting is the way that these statistical tools will start to find a place in the world of horse training. 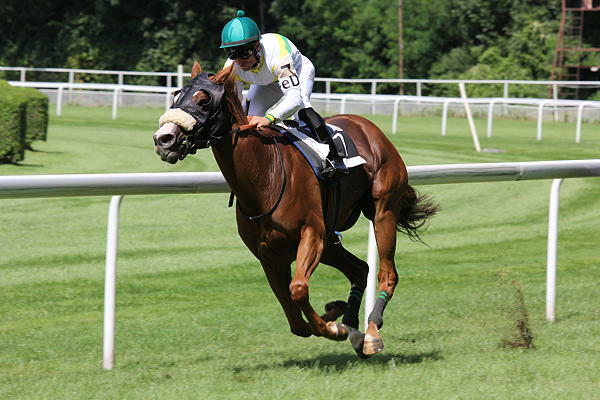 Just as sports teams now invest heavily in data teams, horse breeders, trainers and jockeys are looking into how they can leverage data science to improve their racing. So, just as in every other sport, we can expect the envelope to be pushed in terms of what horse and rider can achieve, these improvements were driven on by tech. The future of horse betting could well involve blockchain too. This makes a lot of sense, as blockchain technology is well suited to betting. The potential for using blockchain to allow peer-to-peer gambling is also something that could take horse racing by storm. The essential idea is that you use a blockchain system to enable users to set their own odds and bet directly with one another, instead of playing 'against the house'. The online gambling industry is actually very quick to innovate, so we can expect companies in this sphere to really be on the cutting edge. So, I hope that these examples give some idea of the ways in which horse racing will be disrupted by the world of tech in the coming years.